DESCRIPTION: The threespine shrimp has a long rostrum with only three dorsal teeth. Its hump has a very acute angle. RANGE: Aleutian Islands, Alaska to California. All of the shrimp images on elasmodiver.com are copyright protected. 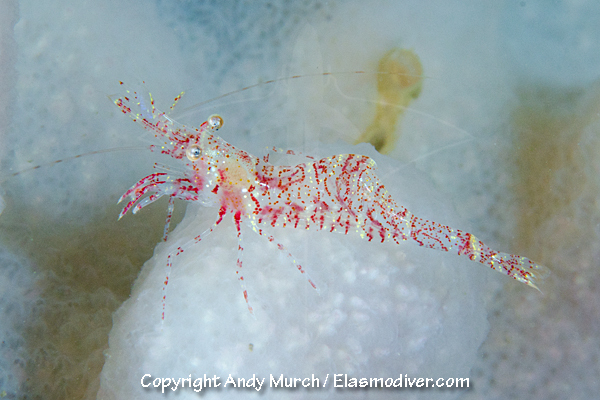 No unauthorized use of these Threespine Shrimp pictures is permitted. Please contact Elasmodiver for further information.